The first three months of 2016 have been extremely active for the local real estate market. 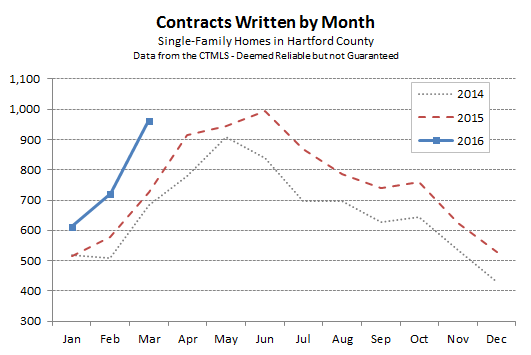 The number of single-family contracts that have been signed in the County is dramatically higher than we have seen in past years. There were 942 deals that came together in March, which was about 34% higher than March of last year. 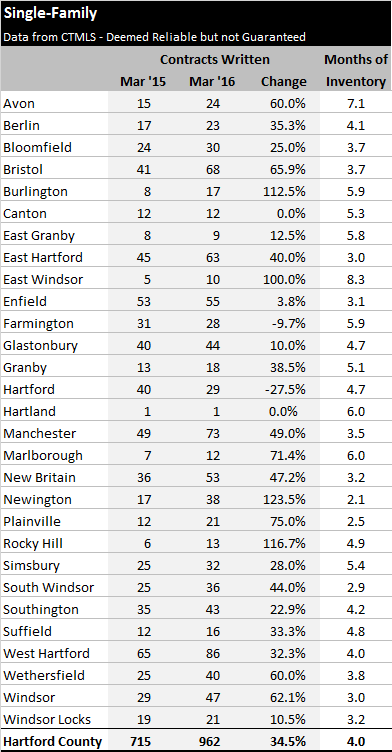 The County finished the first quarter 26% ahead of the first quarter of 2015. We’ve been watching the price bands carefully to see how buyer activity is distributed. 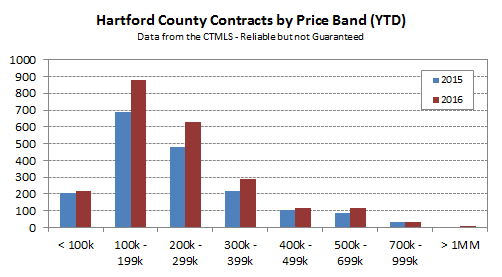 Most of the activity gains have been in the lower price bands that represent the bulk of the County’s housing stock. The $300,000s are currently showing the biggest gains, with about a 34% year-to-date increase. The jury remains out on the high end. There are more buyers successfully bidding than there were last year. However, there continues to be much more inventory at the higher price points compared to the lower price points, strongly favoring buyers. We should have a good sense of where that segment stands by the end of May. At that point most of the sellers will have their homes on the market, and the buyers will have had months to figure out whether asking prices are fair enough to bid.